Sorry for writing in English. I'm from Germany. We have started the production of the MiniRaceWing! The first MiniRaceWings will be shipped end of May. We are also able to offer you a power kit for the MiniRaceWing now. Replacement wings are available and we will add more replacement parts soon. 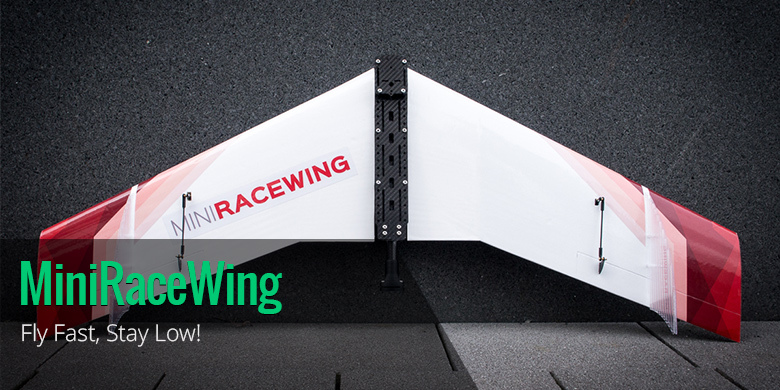 Head over to our shop and order your MiniRaceWing today! A friend of mine and myself are avid FPV pilots. We have developed a fast, agile and easy to transport FPV plane with a twist: It is crash resistant and extremely fun to fly. The crash release also makes the MiniRaceWing easy to transport. Detach both Wings and it fits into a backpack. We are about to manufacture the first MiniRaceWings. If you are interested, take a look at our Kickstarter page for more information and flying/crashing videos. I'll be glad to answer any of your questions. Modifié en dernier par Markus@Flybot le jeu. 20 avr. 2017 01:12, modifié 2 fois. C'est bon Papi, je l'ai autorisé dans sa présentation. FliteTest is flying the MiniRaceWing! We updated the Kickstarter page. You can now read about setups we have tested. We hope this helps everyone to find their perfect setup. It's only two days till our Kickstarter for the MiniRaceWing ends. We want to use this opportunity to thank all our supporters and ask anyone who is considering backing us to do so. Even if we don't reach our goal, by showing your interest in the MiniRaceWing you can help us tremendously! 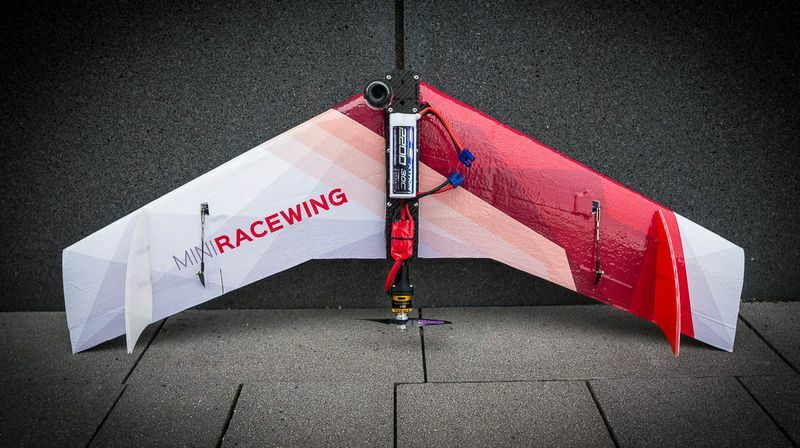 The MiniRaceWing is a new concept and it was hard to guess how people would receive it. Showing your support by backing us, you help us to plan beyond the Kickstarter. We have been asked many times what happens if the Kickstarter fails. And we are happy to tell you that of course we have planned for both cases. So If you are thinking about getting a MiniRaceWing please consider showing your support now, by backing. Just a reminder, because we got asked a lot, how Kickstarter works. The money you back is not transferred until the goal is actually reached. It is only if we reach our Kickstarter goal that your account is charged and the money is transferred to us. If the Kickstarter doesn't reach its goal your account will not be charged. The Kickstarter has ended. Our goal was ambitious and in the end we didn't reach it. But that doesn't mean the end of the MiniRaceWing, there is never only one way. We have pre-planned for both Kickstarter outcomes. However, we will need a few days to select the best of our other options and check if all dependencies are still in place. We will announce any news regarding the MiniRaceWing through our newsletter. If you aren't already signed up please do so. We like to thank all our supporters and all the people who expressed their wish to buy a MiniRaceWing after the Kickstarter. You can contact us trough Facebook or send us an email at contact@miniracewing.com if you want to send us feedback or have a questions. The MiniRaceWing provides an exceptionally exciting but also carefree flying experience. It is the first crash resistant plane that is not only easy to transport but also fast and agile and just plain fun to fly.